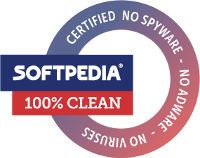 Postimage is a very easy to use application that was especially designed to provide you with the means of taking snapshots of your entire desktop or a portion of it. You can manually set the area size and after the capture is made, the image can be saved or shared online directly. Postimage can also send the URL of a shared screen shot to the system clipboard, so you can save it easily. Please note that this application is under active development. If you have any suggestions or bug reports, please use out contact form to leave us a message. 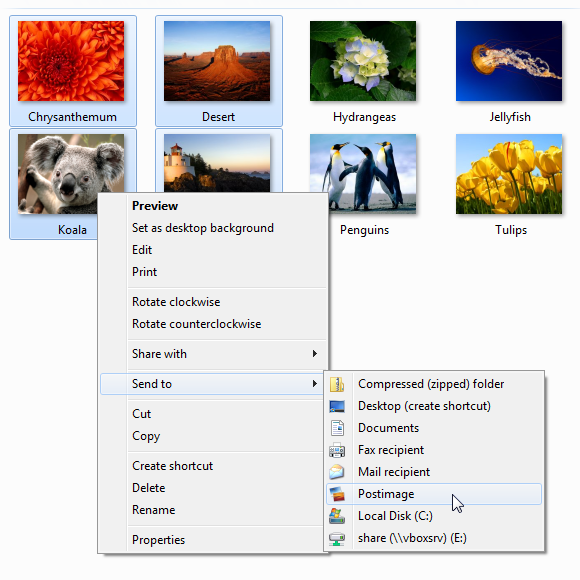 Upload images via the right click context menu. 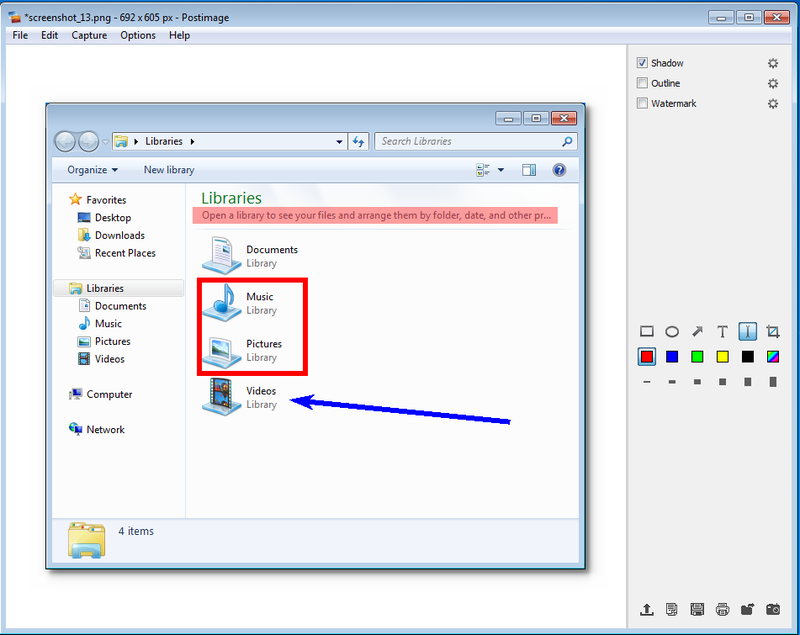 1) In "Windows Explorer" select a file or group of files/directories you want to publish, click the right mouse button, select "Send to -> Postimage". 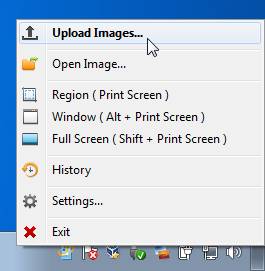 2) By pressing Print Screen, you can choose a specific area of your desktop. 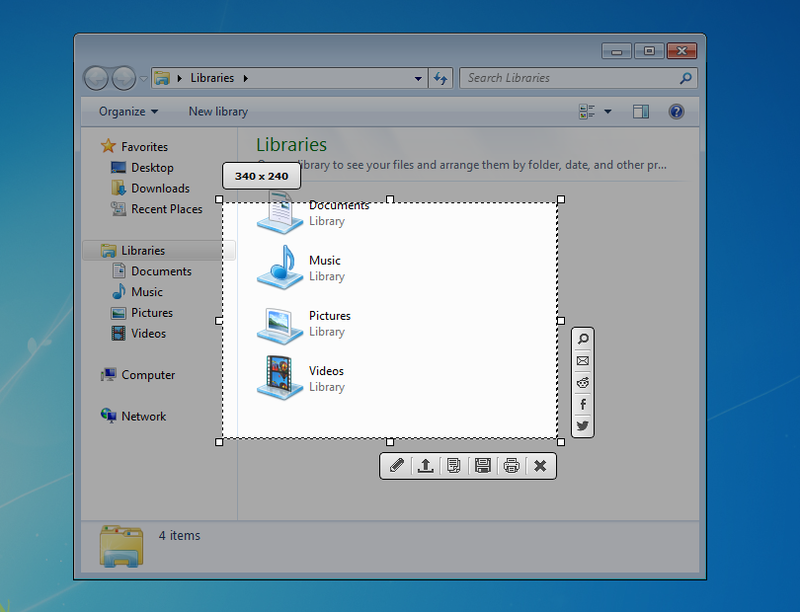 3) You can also access Postimage from the taskbar. 4) Editing tools include annotating (rectangles, circles, texts, arrowed lines, and highlights), cropping, watermarking, shadow effect and many more. 5) Uploads images to Postimage.org and returns the direct image URLs.